Deceased (W. Blum, A. Bogouch, H. M. Braun, V. Chernyatin, B. A. Dolgoshein, A. A. Komar, K. W. McFarlane, S. V. Mouraviev, F. Pastore, G. Sauvage, D. M. Seliverstov, A. N. Sisakyan, R. D. St. Denis, P. Stavina, R. P. Thun). An erratum to this article can be found at http://dx.doi.org/10.1007/JHEP09(2015)141. L. Evans and P. Bryant, LHC Machine, 2008 JINST 3 S08001 [INSPIRE]. M. Cacciari, G.P. Salam and G. Soyez, FastJet, http://fastjet.fr/. ATLAS collaboration, The ATLAS Experiment at the CERN Large Hadron Collider, 2008 JINST 3 S08003 [INSPIRE]. K. Arnold et al., HERWIG++ 2.6 Release Note, arXiv:1205.4902 [INSPIRE]. H1, ZEUS collaborations, HERAPDF 1.5, H1prelim-10-142 [ZEUS-prel-10-018], http://www.desy.de/h1zeus/combined_results/index.php?do=proton structure. M. Botje et al., The PDF4LHC Working Group Interim Recommendations, arXiv:1101.0538 [INSPIRE]. ATLAS collaboration, ATLAS tunes of PYTHIA 6 and PYTHIA 8 for MC11, ATL-PHYS-PUB-2011-009 (2011) [INSPIRE]. ATLAS collaboration, Summary of ATLAS Pythia 8 tunes, ATL-PHYS-PUB-2012-003 (2012) [INSPIRE]. P. Nason and C. Oleari, Generation cuts and Born suppression in POWHEG, arXiv:1303.3922 [INSPIRE]. 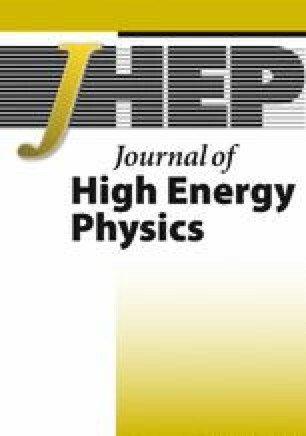 J. Butterworth et al., Les Houches 2013: Physics at TeV Colliders: Standard Model Working Group Report, arXiv:1405.1067 [INSPIRE]. W. Lampl et al., Calorimeter clustering algorithms: Description and performance, ATL-LARG-PUB-2008-002 (2008) [INSPIRE]. ATLAS collaboration, Selection of jets produced in proton-proton collisions with the ATLAS detector using 2011 data, ATLAS-CONF-2012-020 (2012) [INSPIRE]. B. Malaescu, An Iterative, dynamically stabilized method of data unfolding, arXiv:0907.3791 [INSPIRE].